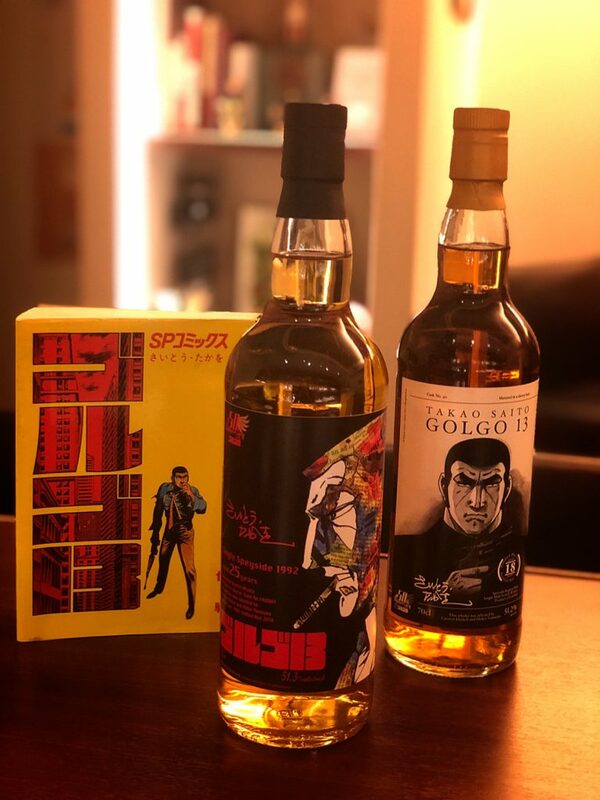 For fans of Takao Saito’s Golgo 13 manga series, we have a new Golgo 13 bottle (photo center), released to coincide with the 50th anniversary of its series debut in 1968! Both the pre-anniversary bottle released last year (photo right) and this year’s “Single Speyside 1992” contain a Speyside single malt, but – like assassin Duke Togo himself – specific details, like the distiller, are unknown. How very Golgo-esque! We won’t be opening the Golgo bottles right away, but they’ll be on display at the bar and if you’re a Speyside lover, we have other malts which you can try so please come in if your interest is piqued! This week, bar miyako is open as usual from 7pm to 1am on Monday to Friday and from 7pm to midnight on Saturday. Hope to see you all again soon! As the evenings get colder, why not warm up with a hot gin toddy – a simple cocktail that draws out gin’s various aromas and flavors? 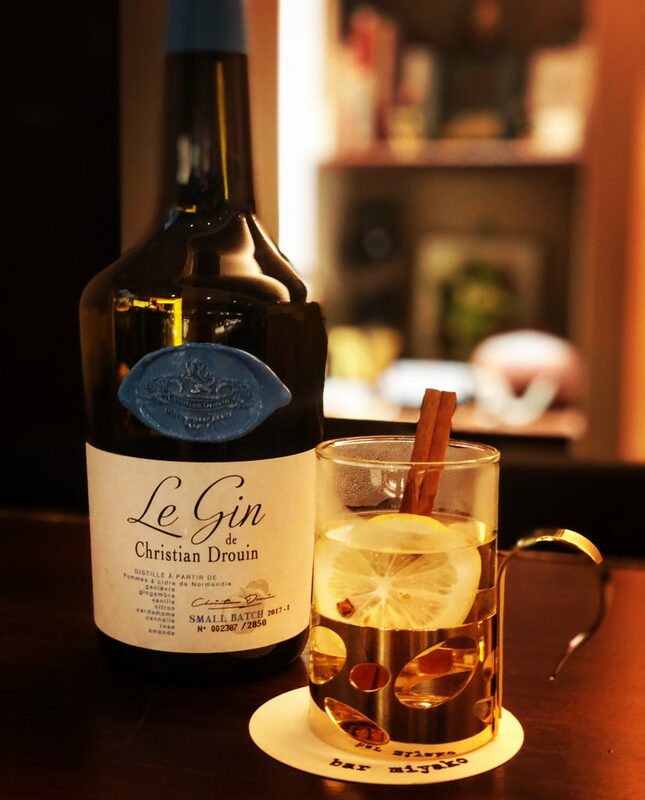 Almost any gin can be enjoyed hot, but Le Gin by Christian Drouin, a well-known Calvados producer, is especially lovely! The base spirit is made from 30 varieties of cider apple and the botanicals include lemon, ginger, cinnamon, vanilla and almond, a perfect match with the lemon, cloves and cinnamon garnishes of a toddy. Please stop by for a taste if your interest is piqued! This week, bar miyako is open as usual from Monday to Thursday from 7pm to 1am, but please just note that we will be closed on Friday, November 23 due to a national holiday, and will also be closed on Saturday, November 24. Thank you for your understanding and we look forward to seeing you at the bar!